The MXZ X package is field with all the capability and performance most trail carvers and bump bashers will ever need, especially rMotion 129 rear skid, premium shock package and more. rMotion™ with 15 x 129 in. track: 129 inch (327 cm) length adds even more performance to the acclaimed rMotion™ rear suspension, without sacrificing any cornering ability. 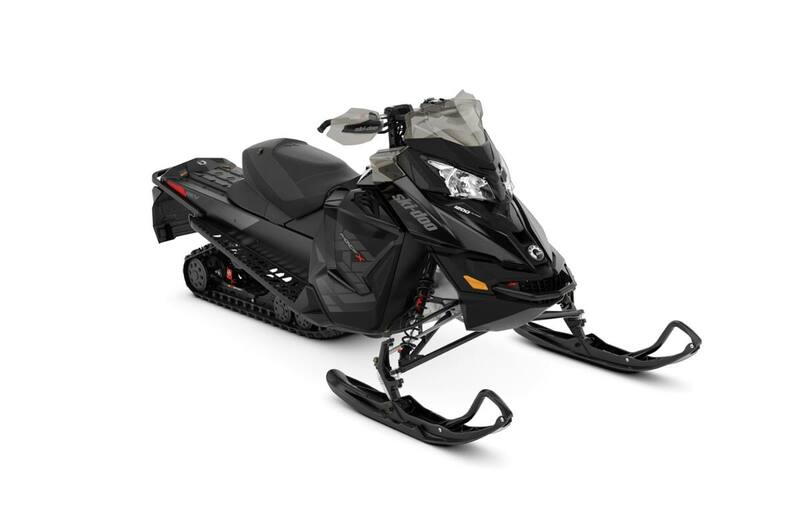 Riders get more traction, better braking and more bump filtration without sacrificing the precise handling and cornering MXZ® sleds are known for. Vehicle overall height: 1,130 mm / 44.5 in.